At Tour My India, we offer a well arranged Pune-Shirdi Weekend Tour that will take you away from the hustle and bustle of the city. During our tour, we will take you to the world famous Sai Baba Temple, Dwarkamai, Chavadi and Shani Shingnapur. So, be ready for your next weekend trip to Shirdi and have a lifetime travel experience. We will pick you up from your place and drive to Shirdi. On arrival, check-in at the hotel. In the afternoon, we will visit the Dixit Wada Museum, Gurusthan. In the evening, we will drive back to the hotel for an overnight stay. Dixit Wada Museum: Located at the center of the Sansthan complex, Dixit Wada museum consists of rare black and white pictures of Sai Baba. Baba's Kafni which is long robes and his leather padukas and his smoking pipe are also on display in this museum. It is open for public from 10 am to 6 pm. Gurusthan: Gurusthan is a place where Sai Baba was visible for the first time to the world. He was 16 years old at that time. There is a famous Neem tree and a little enshrine is there in Gurusthan. On a lifted platform of this enshrine a big portraiture of Baba is laid. On the other side, there is a marble statue of Baba. In the morning, we will visit the Sai Baba Temple and Shani Shingnapur and return back to the for an overnight stay. Shani Shingnapur: It is an impressive village with the fact that no house in the village have door. The local villagers here believe that Lord Shaneshwara will save them from all evil. There is a temple of Lord Shaneshwara here with his large idol made of black stone. Only male devotees are allowed to worship in the temple that too after taking bath in the public bathrooms and then pray with wet dhotis without any upper garment. 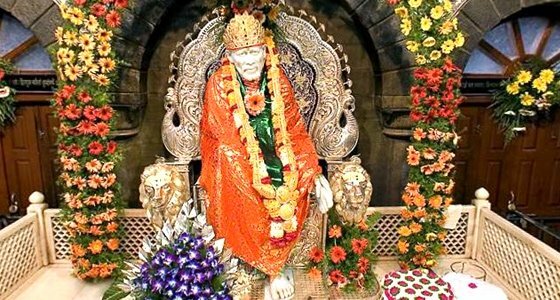 Sai Baba Temple: The Sai Baba temple of Shirdi attracts millions of devotees of all religions, castes and creed from around the world who worship Shri Sai Baba. The temple is a beautiful shrine built over the Samadhi of Shri Sai Baba. The temple opens for devotees at 5.15 a.m. (0515 hrs) with Kakad Aarti and remains open till the end of Shejarti. After breakfast we will drive back to Pune. On arrival at Pune, we will drop you at your desired location.